I was able to sample several of their products recently. The microwaveable Mac & Cheese and even the regular Mac & Cheese are both really easy dinners to prepare when you're in a rush. And aren't we all always in a rush? The Cocoa & Vanilla Bunny Cookies are delicious animal crackers - the perfect afternoon snack! 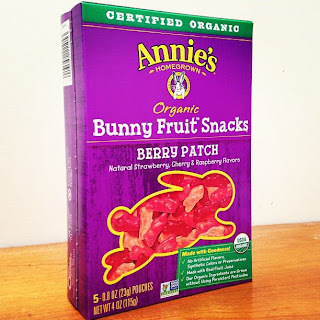 I also love the Organic Bunny Fruit Snacks - they have the same texture and taste as regular fruit snacks but do not contain gelatin (they are vegan!) and are filled with your daily serving of vitamin C.
For more information, please visit their website at www.Annies.com or like them on Facebook!. 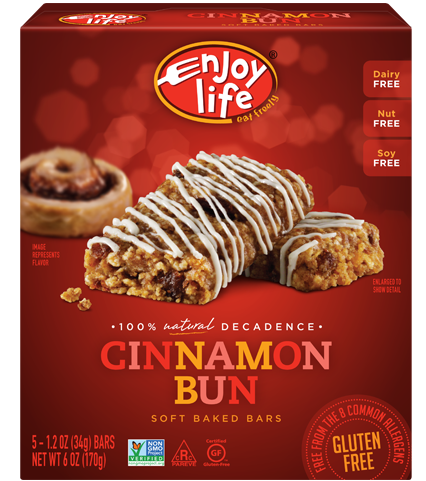 A Great New & Improved Product From Enjoy Life! The Cocoa Loco bar now has more chocolate chips while the other three are made with wholesome ancient grains! These bars are perfect for breakfast or as an afternoon snack. They are filled with many vitamins and minerals and in addition to being gluten free are free of the top 8 allergens (wheat, dairy, peanuts, tree nuts, egg, soy, fish, and shellfish). The Caramel Apple bar has been and is still one of my favorite breakfast bars! For more information, please visit their website at www.enjoylifefoods.com or like them on Facebook! Enjoy Life with New Decadent Bars! These bars make the perfect breakfast treat or midday snack! Each bar is drizzled with either a chocolate or white chocolate coating. My favorite was the Cinnamon Bun! As with all Enjoy Life products, these bars are gluten free, as well as, free of wheat, dairy, peanuts, tree nuts, egg, soy, fish, shellfish, casein, sesame, and sulfites. They are also made in a dedicated gluten free facility. 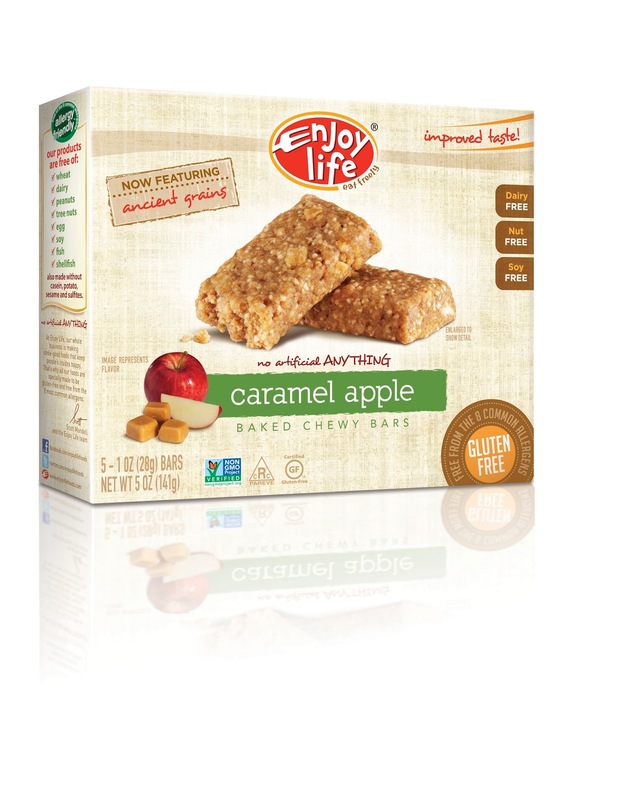 For more information, check out their website at www.enjoylifefoods.com or visit them on Twitter and/or Facebook. Enjoy Life Foods Decadent Bars are available at health food stores and online. A Delicious Nutritious Breakfast in an Instant! 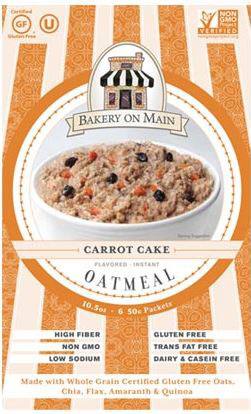 Bakery on Main Gluten Free Instant Oatmeal is made using pure uncontaminated oats, chia, flax, amaranth, and quinoa. In addition to being gluten free, the oatmeal is also dairy free, low in sodium and cholesterol free. The flavors currently available include Maple Multigrain Muffin, Strawberry Shortcake, Traditional & Apple Pie. Although I enjoyed all of the flavors, my favorites were the Traditional, Apple Pie, and the Blueberry Scone. To purchase, please visit the website at www.bakeryonmain.com or visit your local natural food store. Congratulations to Maria Lick from Lagrangeville, New York who is the lucky winner of a 3-month gluten free Conscious Box subscription! For all of you who entered the giveaway but did not win and still want to try out a Conscious Box, check out their website at www.consciousbox.com and enter "CONSCIOUSSAVINGS" during checkout for a 25% discount. I just wanted to take a moment to inform you about this new website I recently heard about called Conscious Box. This is a monthly subscription service that delivers only the purest products (vegan and gluten free) right to your door. 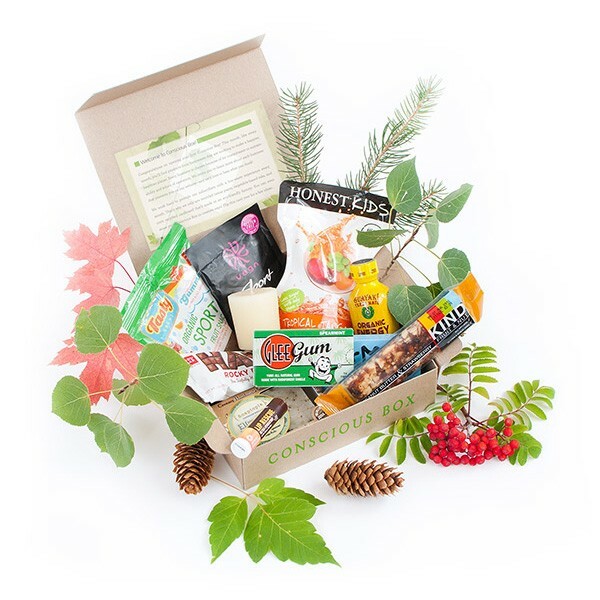 One of our lucky readers will receive a 3-month gluten free Conscious Box subscription (a $59 value)! All you have to do is send an email to MsCeliacSays@gmail.com with "Conscious Box" in the subject line and your name and address in the body of the email by Friday, March 8th at midnight EST. For more information, visit consciousbox.com or check out there facebook page at www.facebook.com/consciousbox. And for a 25% discount, just enter the code "CONSCIOUSSAVINGS" during checkout. Congratulations to Jennifer Barthold from Chicago, Illinois who is the winner of our KIND Giveaway! Thank you to everyone who entered and I hope you are all enjoying National Peanut Butter day! In celebration of the upcoming National Peanut Butter Day on January 24th, KIND sent me an assortment of their healthy snacks to try out! They will also send out a gluten free KIND Peanut Butter Cube to one of my lucky readers! To enter this contest, please send an email to MsCeliacSays@gmail.com with "Kind Giveaway" in the subject line and your name, address, and phone number in the body of the email by Wednesday, January 23rd at 5 pm EST. The winner will be announced on National Peanut Butter Day and will receive their prize soon after! Now for the inside scoop...this cube is great for gluten free peanut butter lovers (those with peanut allergies - stay away!). The peanut butter whole grain clusters are delicious and have a super strong peanut butter flavor! The clusters are made with 100% gluten free whole grains like amaranth and quinoa! The Peanut Butter Dark Chocolate + Protein bars are also delicious and coated with plenty of antioxidant-rich dark chocolate! Due to my strawberry allergy, I wasn't able to taste the Peanut Butter & Strawberry bars but I've heard they taste like a yummy peanut butter + jelly sandwich! 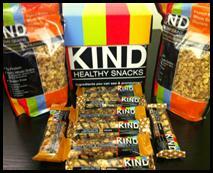 For more information about Kind products, please visit their website at www.kindsnacks.com. Don't forget to enter the giveaway! Good luck!